The country is not as desperate as the Philippines for investment. But cozying up to Beijing is one way to express gratitude for China’s continued support during the 1MDB scandal. Outside funding can also help Najib meet ambitious development goals – and win re-election. Prime Minister Najib Razak warned "colonial powers" not to lecture Malaysia during a six-day visit to China. The Malaysian leader wrote in an editorial in the China Daily published on Nov. 2 that large countries should treat small ones fairly, adding, "this includes former colonial powers. It is not for them to lecture countries they once exploited on how to conduct their own internal affairs today." "I have seen how China has retaken its place on the world stage as a great power, while in Malaysia we have progressed from being an agricultural based to an upper-middle income economy, well on the path to becoming a high-income developed nation," Najib wrote. The prime minister said that disputes in the South China Sea should be resolved through dialogue in accordance with rule of law. 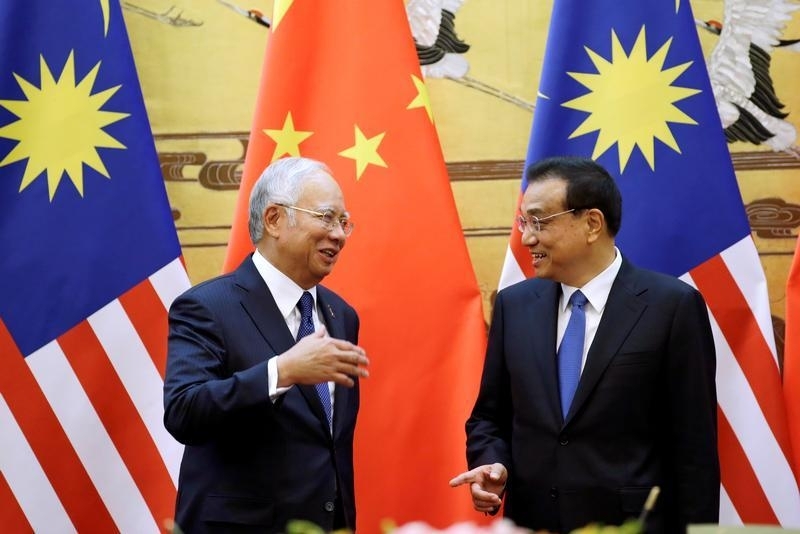 Malaysia agreed this week to buy four Chinese naval vessels and signed 14 agreements totaling 144 billion ringgit ($34 billion), Malaysian state news agency Bernama reported, after a meeting between Chinese Premier Li Keqiang and Najib on Nov. 1.